Rare 2015 VW Golf by Norev, FREE SHIPPING! 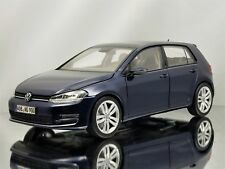 Norev 2012 VOLKSWAGEN GOLF VII Dark Blue Dealer Edition 1/18 Scale New Release! Norev 2012 VOLKSWAGEN GOLF VII Silver Dealer Edition 1/18 Scale New Release!